Next door to us is a convent, complete with a pair of very friendly nuns. Due to the oddities of land subdivision, the convent has a triangle of land that runs behind our strip of houses and the railway line. I have been eying off this land for a while as a possible food forest. In permaculture terms, this would be a mix of food-producing trees, with supporting plants and animals (such as chickens and bees). To date, this has been just a scrubby bit of unused land. Privet was running rampant along the railway line, creating a dense weedy mess. A local roofer is using another part of the land as long-term storage for roof tiles and slates. The goal is to create a rich and fertile space that is shared by the convent and the strip of houses that runs alongside. A mini community space, this will produce fruit and other goodies for local residents,the church, and their their youth groups. 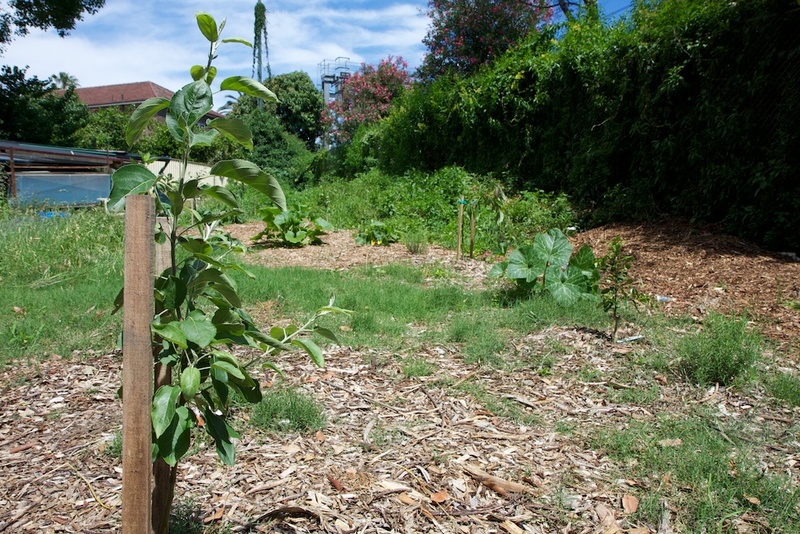 This entry was posted in Growing our own food and tagged apple trees, food forest, permaculture.